Never fear, it’s just photos here. 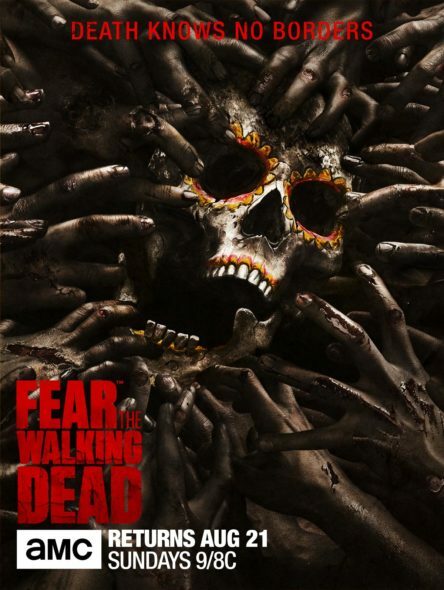 AMC has released key art (above) for season 2B of its Fear the Walking Dead TV show, which returns Sunday, August 21, 2016 at 9:00pm ET/PT. The network has also released two “first look” photos (below). Fear the Walking Dead stars Kim Dickens as Madison, Cliff Curtis as Travis, Frank Dillane as Nick, Alycia Debnam-Carey as Alicia, Mercedes Mason as Ofelia, Lorenzo James Henrie as Chris, and Colman Domingo as Strand. The key art was released as the poster for the second half of season two, in preparation for San Diego Comic-Con. The Fear the Walking Dead cast and executive producers will take part in a series panel, Friday, July 22 at 12:00pm PT, in Hall H. AMC says a Fear the Walking Dead yacht, located at Fifth Avenue Pier behind the Convention Center, will be open to attendees for the duration of Comic Con giving fans a chance to experience life aboard the Abigail. Fear the Walking Dead is executive produced by Robert Kirkman, Gale Anne Hurd, Greg Nicotero, David Alpert, and showrunner Dave Erickson. 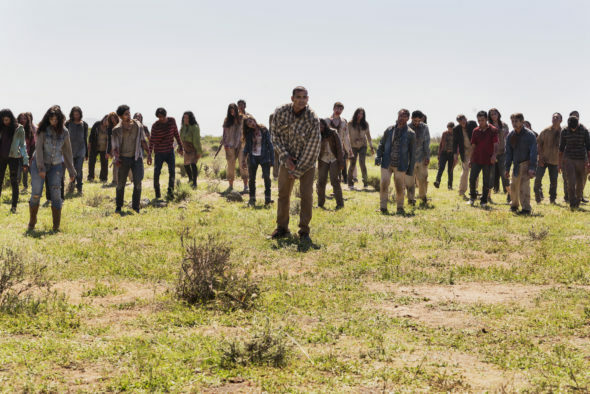 Fear the Walking Dead TV show on AMC: season 2B “first look” (Richard Foreman Jr/AMC). What do you think? 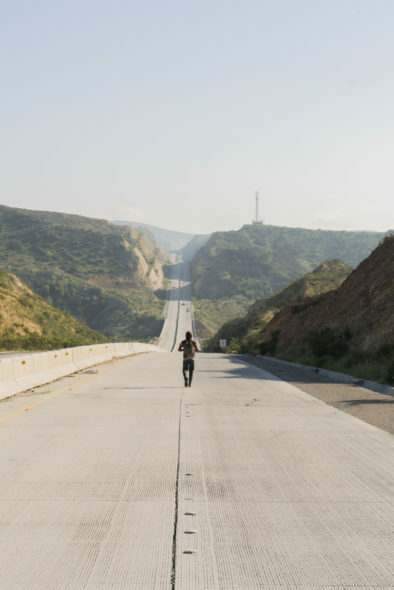 Will you attend the Fear the Walking Dead panel at Comic-Con? What other events do you plan to attend?